Women empower other women. There is a sisterhood, a circle of love, a level of education, support and empathy. 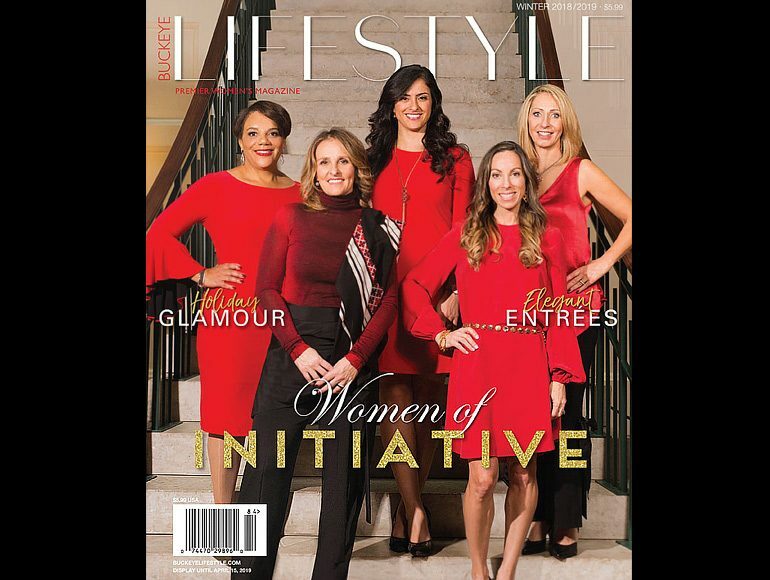 You are about to meet five remarkable women who, through their leadership, innovation, energy and dedication are an inspiration to many at-risk women, girls and children in our community. They are the women of initiative. Confidence. Strength. Stability. These are the principles of In Christy’s Shoes, a charity created by Katrina Levy Zidel, who found a way to celebrate the life of her beloved twin sister. 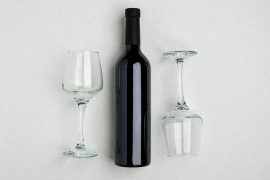 Katrina, who operates on the premises that the glass is almost always full, that life shifts all the time and her life is not a normal one, is once again ready to shake up her world and those of the women she serves. Katrina Levy Zidel was born five minutes after her identical twin, Christy. Like most twins, the two were inseparable. What people don’t realize when they first meet Katrina is that her childhood was anything but typical. “Something let me know early on that my life was not normal. When I was eleven years old, I remember looking at a family photo and thinking, ‘there is more than this,’ and there was. Following my father’s divorce, Christy and I were sent from Houston to live with my grandparents in Columbus, Ohio,“ Katrina reminisces. Katrina’s grandparents were instrumental in providing both her and Christy with stability, love and normalcy for the first time in their young lives. “When you give a person that, it takes the focus off crazy and you can become your own authentic self,” says Katrina. This would become the premise of her role in her sister’s life and the lives of many women she would engage with later. Driven even at a very young age, Katrina decided to leave her education at OSU behind in exchange for life in the real world working for her father’s investigative business. It was during that time that her desire to succeed and prove herself in a male-dominated business coupled with the responsibility of managing and mentoring others created another skill: empathy. “I learned I had the ability to listen to other people and help them. I learned that I gave good advice but did not always have all the answers. That helped me grow and appreciate the importance of each person, their thoughts and what they go through. This is when I realized that I enjoyed seeing others tap into their potential and that I could assist in their growth,” Katrina notes. Katrina’s story of service and philanthropy arose from a personal tragedy. At the young age of just 33, her twin Christy was diagnosed with terminal brain cancer. The unexpected and devastating death of her identical twin caused Katrina to shift her perspective on life. She decided that every woman she meets who needs help has access, support and an equal opportunity to have lifelong sustainability and continued growth. 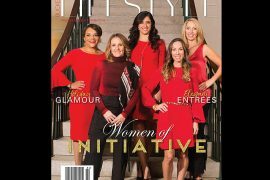 By launching In Christy’s Shoes, Katrina hoped to ensure that each woman could reach her full potential by connecting her with other women through compassion, resources and community. For those not familiar with the organization, the name for In Christy’s Shoes was derived from Christy Levy Peters’ sense of style. The tag line — Committed from the Sole Up — comes from Christy’s love of sensational, fabulous footwear and her personal style. Everything from stilettos to tennis shoes lined her closets, and according to her sister, she wore them all with graceful pride. When Katrina speaks of her twin Christy, it is with complete admiration, love and awe. “She was a tiger. She had been through everything with me. She was ten times the person I was — old soul, a mentor, my best friend.” According to the In Christy’s Shoes website, women are encouraged to share their love of shoes and to empower each other by attending the annual Sole Celebration Event, typically held in May, by hosting a Sole Soirée, and by donating their shoes so that other women can walk with pride. But Katrina did not limit her desire to empower other women. The non-profit is not just about celebrating and donating footwear. In Christy’s Shoes joined forces with community partners who offer resources, education and training in the following areas: substance abuse, homelessness, domestic violence, human trafficking, brain cancer and unemployment. Katrina says there are many women to help. One moment that sticks out vividly in her mind occurred roughly a year ago when the organization was invited to a shelter. “On this day, one of our community partners invited us to join together for a day of pampering for these women. The executive director shared a story of sexual abuse and there was a special speaker who talked about her own human trafficking experience. What happened after that was amazing! One by one these women raised their hands and began telling their own stories: ‘Here is what happened to me. I want to share my story, too.’ It was the first time many of them had told their story in front of someone else. And then they began to ask, ‘What does trust look like? How do I set boundaries?’ They were asking for help. They just did not know what it looked like. We (In Christy’s Shoes) want to fund these types of programs so that they can move forward with a solid foundation and are set up for success,” Katrina notes. 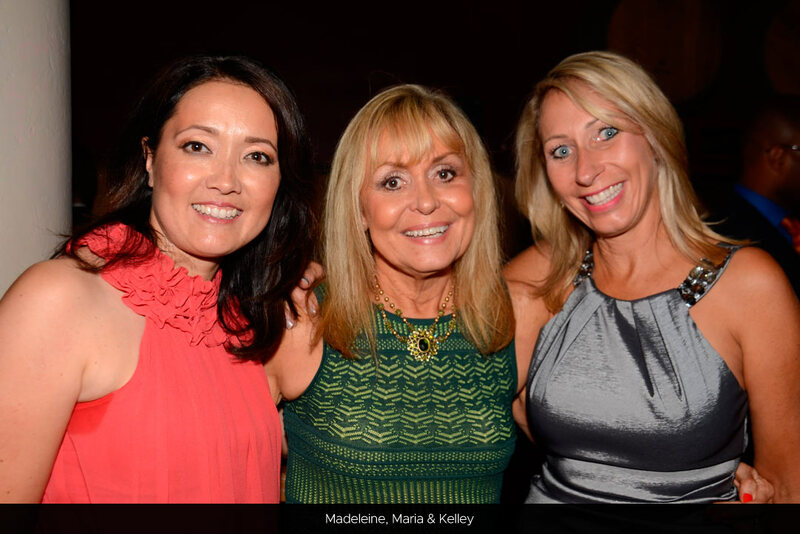 At another recent event, In Christy’s Shoes provided funding for educational scholarships. In Christy’s Shoes was there handing out diplomas to a graduating class when they noticed a few women whose shoes were in disrepair. They distributed their business cards and soon afterward received a call. The woman explained that she had a job interview and she had a new outfit but didn’t have the right shoes that would make her feel confident. That is all Katrina needed to hear, and she set out to DSW to find that perfect pair of navy heels. “When she put those shoes on, I just saw this whole level of confidence come over her.” Katrina smiles at the memory. “It was something so small as a starting point to someone’s life, and she was thanking me for taking time out of my day. I told her, ‘You are important!’” When Katrina reached out to her a couple weeks later, the woman informed her that she got the job and thanked Katrina for her support. It’s is no surprise that this mentor wants to do even more. Katrina is drawn to women who are authentic. She appreciates people who are willing to share their imperfections and who will tell you what you don’t want to hear, rather than what others think. She gravitates toward those who appreciate what life has to offer and are in your corner no matter what. In addition to her twin sister Christy, the other person she most admires is her grandmother, Sally. Katrina is currently working on an extension of In Christy’s Shoes that epitomizes her beloved fashionista grandmother. It will serve as a platform for women to share their true selves and open up so that others will have the courage to do the same. And what does Katrina hope to accomplish next? Her grandmother always used to say, “Cats on the roof,” meaning “Something is stirring, and I have to tell you something.” So Katrina’s goal is to put her thoughts into a blog tentatively entitled “Katz on the Roof” to not only empower women, but to provide a place for them to share their thoughts, feeling and experiences. She is a firm believer that just because something doesn’t exist, that does not mean it can’t be done; it means there’s a new opportunity to create it. 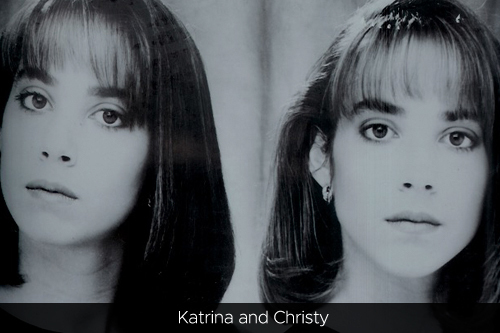 Katrina writes a lot about her sister on In Christy’s Shoes’ website. We are betting that Christy is somewhere smiling just knowing that her twin is filling some big shoes of her own. For more information on In Christy’s Shoes, visit www.inchristysshoes.org. For many women, even in the best circumstances, being a mother can create challenges day in and day out. However, when poverty, lack of education or transportation, and/or healthcare issues are present, both the mother and children suffer. Dr. Mia Neil is the founder and director of the Women’s Health Education Program (WHEP), and she works daily to improve maternal healthcare to end preventable infant deaths. Quite simply, Mia Neil’s passion is keeping babies alive. 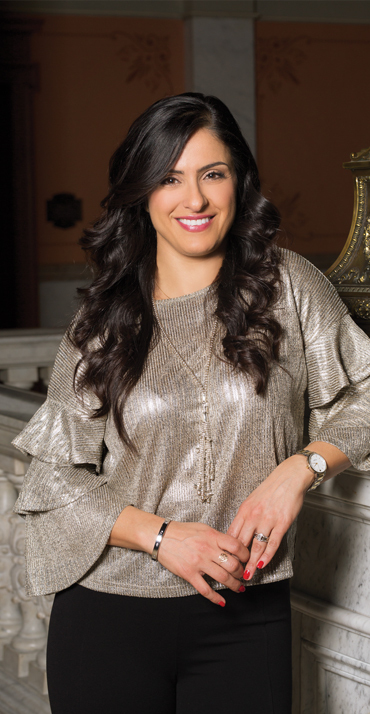 Her community service began early on in her teenage years when she was growing up in the country of Lebanon. At the tender age of 16, Mia went on a two-week missionary trip to north Lebanon to assist families living in poverty and to provide educational and empowerment activities to the children living in the village. For her, it was a life-changing experience. “I had been living in a Christian bubble, isolated from world issues. I remember feeling heartbroken and initially helpless. I could not wait to go on a mission again,” Mia recalls. And she did a year later. This time, she journeyed to Mother Teresa’s orphanage, and that lit a fire within. She was not sure how or when, but she knew that whatever vocation she chose, it would include helping families in need. Mia went on to get her PhD in biomedical chemistry. She has taught Fundamentals of Medical Biochemistry at The Ohio State University as well as Chemistry and Student Success at Columbus State University. She is a strong believer in the power of education because she knows a person with a degree is more likely to earn a good living and be able to give her family a better life. According to Dr. Mia Neil, infant mortality in Franklin County is far above the national average, with the loss of 2-3 babies per week. The underlying factors include, among other things, unemployment, lack of childcare education and awareness, and access to baby items — cribs, strollers, diapers, formula and car seats. In 2015 she launched the Women’s Health Education Program (WHEP) to provide for mothers and everything for their babies from birth to two years of age. 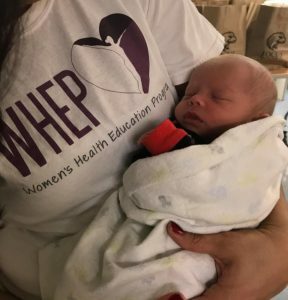 “Through WHEP, we hope we can relieve some of the pressures of raising a child, all the while working to ensure the child is safe, clean, fed and healthy,” she says. Like many volunteer-based organizations, WHEP operates with support from federal and state grants, but relies mostly on the support of local donations and local community partnerships. For instance, the Focus Learning Academy, which has three locations in the affected areas for infant mortality, provides space, staff and students at each of their schools for WHEP to hold monthly training workshops and events. 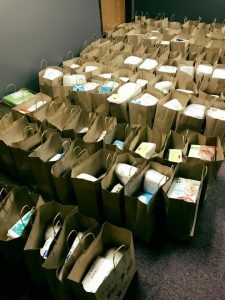 The Columbus Diaper Coalition is instrumental in providing baby wipes and diapers, and the Mid-Ohio Food Bank, Columbus Public Health Department and many families make monetary donations and baby item donations. “I do my best to continue to connect with these engaging organizations and generous individuals and corporations who have it in their hearts to help,” Dr. Neil notes. WHEP serves a broad age range of women. At the outset the focus was on young mothers age 14-24, but the reality is that the range extends with mothers in their thirties and those who have multiple births. WHEP eligibility is determined by household income, based on the mother’s WIC eligibility. Another barrier that has posed problems since the program’s inception is the lack of transportation for the mothers. Dr. Neil noticed that some of the mothers enrolled in the program had stopped attending and participating in the WHEP workshops and training simply because they could not find a way there. She learned this also impacted their ability to take their babies to doctor appointments, go grocery shopping and more. Dr. Neil has made it a mission to provide daily bus passes generously donated by Focus Learning Academy. WHEP mails bus passes directly to moms who need them to make sure that they can get a ride and get to the WHEP workshops, etc. Only in its third year of operation, WHEP has not had to limit help or access to resources to anyone who needs it. Some workshops are limited simply based on the style of activity. Dr. Neil notes that the program has served an average of 100-120 moms a year with a combined 400 moms since the program started in 2015. “Our mission is to empower young women to improve their quality of life and their impact on their children,” Dr. Neil says. “By providing moms with education and services, we hope to enable every mother (with the tools of knowledge, information and baby supplies) to truly give her child a chance in life. Some people could be dealt a bad hand, but it does not mean that they are doomed to live in poverty or forgo an education or a good job. A fun way that Dr. Neil worked to provide support was to throw an inaugural Community Baby Shower in 2015. This annual event provides needed baby items to over eighty moms at one time. “There is such an outpouring of love. It is moms helping moms. 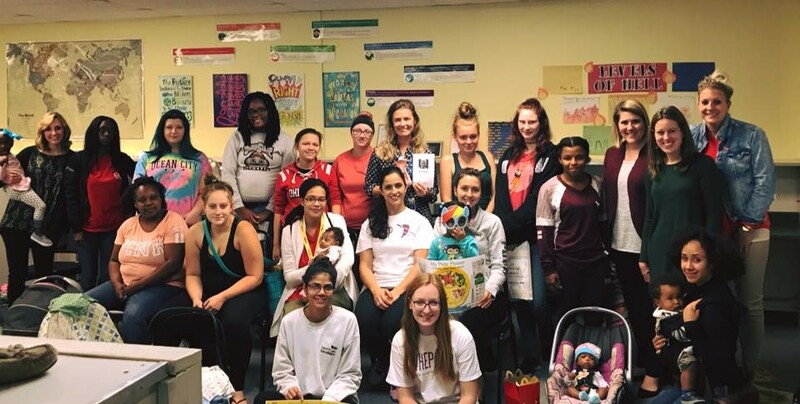 These women donate baby clothes, shoes, car seats, strollers and educational toys for babies as well as maternity, dress up, and work clothes and shoes for the mothers.” Monetary donations also help WHEP purchase specialty items for the women and their babies. Dr. Neil envisions a day when every mom is a happy mom raising a happy, healthy child by having access to the resources she needs to overcome the challenges she faces as a mother and as a woman. “Women are naturally empowered. It’s in our genes,“ she reflects. “We are strong, resilient, caring and hardworking. It doesn’t mean we don’t experience challenges and setbacks. We just need to be reminded of our value and what we are capable of, which is a lot!” Dr. Neil does her best to encourage women in and out of the classroom, in and out of WHEP daily. For herself, she continues her own path of education and mentorship through her career and non-profit engagement. Hearkening back to her childhood, Dr. Neil still holds a strong admiration for Mother Teresa. “She gives me a glimpse of heaven through her endless love for the poor and children. She is an angel. She is my angel.” And we are sure that Dr. Neil and WHEP are angels to the many women and children they serve. If you would like to find out more about the WHEP program or support the organization through a monetary or product donation, visit https://power2impact.org/whepohio or call 614-530-0728. Throughout history, the arts have been used as a form of self-expression. 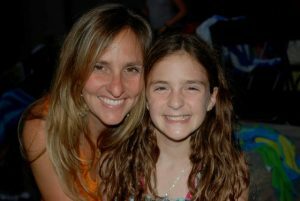 For Nikki McCarthy, it was a way she helped her daughter Samantha cope with treatments from a rare genetic disease and a way for her to express her feelings. Samantha Jane McCarthy was an active, fun-loving seven-year-old who was all about her stuffed animals. “Sam had a LOT of stuffed animals, and she liked to take them with her everywhere,” recalls her mother Nikki. “I would always ask her why she needed to take them with us, and she would reply, ‘Mom, I just look at them and I know that they need me!’” Nikki smiles as she shares the story. Sam, as her family calls her, was in the first grade when she was diagnosed with Fanconi anemia, a very rare and serious genetic blood disorder that leads to bone marrow failure. It results in decreased production of all types of blood cells and is the most common inherited form of aplastic anemia. It affects very few children, but Sam was one of them. 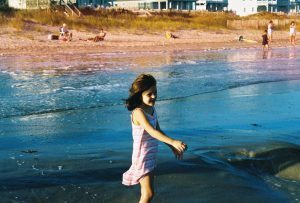 She needed a bone marrow transplant which she was able to receive in August of 2008. Sam spent much of the next 14 months in and out of the hospital. But due to complications often associated with bone marrow transplants, Sam passed away at the age of 11. Nikki describes her daughter as overly generous, kind, caring and always thinking of others. She loved her brothers and her family. She was her mom’s best friend. While Sam was in the hospital, her life consisted of daily interactions with doctors, nurses and most of the time, uncomfortable treatments and procedures. In the midst of it all, Sam met Brian Schreck. Brian was a music therapist, and he quickly became one of her favorite people. Music therapy brought Sam happiness and took her attention away from being ill. It was a comfort to her in times of painful treatments, and it was a comfort to her mother as well. “The introduction of music and art therapy was a game-changing moment for me,” Nikki remembers. “Sam’s life was cut way too short. 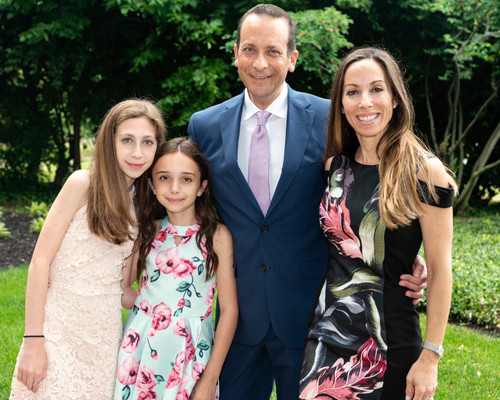 She did not get to do all the things she wanted to do, so we created Sam’s Fans to give back and lead the life Sam would have wanted.” The McCarthy family had already been instrumental in raising funds for Fanconi anemia research and decided to take their passion and their daughter’s legacy to another level. Currently there is a Sam’s Fans program in four pediatric hospitals in Ohio, including Nationwide Children’s Hospital, which boasts a fully-funded, outpatient music therapist and serves thirty families. Jessica, one of the music therapists, visits patients in their homes and brings the music to them. Cleveland Clinic, which has a pediatric wing, is the latest hospital in Ohio to join Nikki’s movement. And she is not even close to being finished. She wants to share Sam’s Fans with the nation, launching a music and/or art therapy program in every pediatric hospital in the country. The children who are served include those suffering from terminal illnesses who may be confined to a bed or wheelchair, those who have cerebral palsy and others. As part of a video shown at A THREAD of Hope fundraiser and on The Today Show, a child who was confined to a wheelchair worked with music therapist Jessica to write a song about her friend who had passed away from the same disease she had. The therapy allowed her to get her feelings out, honor her friend and release a lot of emotions surrounding her pain and loss. “She will leave that legacy for her family. She is very proud of that. It was an amazing sharing of talent and resilience,” says Nikki. Each hospital has different programs depending on what the needs are. In Akron, for instance, there is an Artist-in-Residence program where both the patient’s family and hospital staff can participate. “Most people don’t know it exists,” says Nikki. “Being able to bring this opportunity to sick kids and make them feel normal is what I live to do.” Each therapist in the program has very specific goals. Nikki has worked diligently to increase awareness about music and art programs, which typically are underfunded in hospitals. “These programs do not get as much grant funding as other things because it is not always easy to see the progress with this therapy. We can do more,” Nikki says. Each November, Picassos Art Studio in Upper Arlington hosts a program called “Heart Art” which is a Juried Youth Art fundraiser. All the pieces have been created by young local artists interested in the Sam’s Fans program. This year’s event took place on November 15th. Sam’s brothers, Finn, Joe and Jack have learned through the Sam’s Fans charity that serving others is an important part of life. “This has taught them to give back and keeps their sister as part of their lives. That is important to me,” says Nikki. 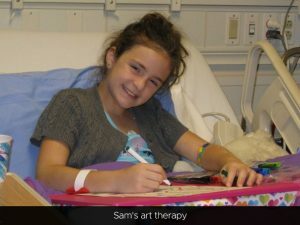 To learn more about the art and music therapy programs and events or to donate to Sam’s Fans non-profit, visit www.samsfans.org. Sam would appreciate it. She has been called experienced, compassionate and driven. And now, she has taken those accolades forward into her new role. YWCA Columbus has a new leader and her name is Christie Angel. 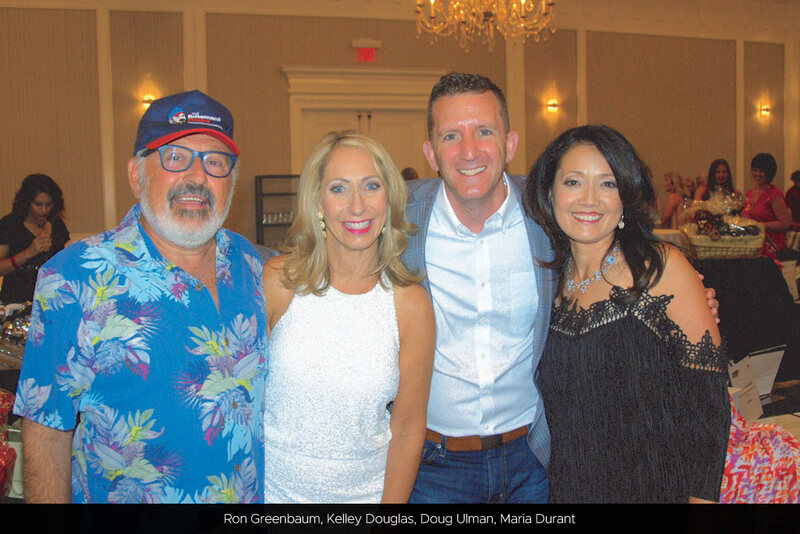 As past chairwoman of the agency’s Board of Trustees, she recently celebrated her first year at the helm of one of the largest and oldest non-profits in the city of Columbus. 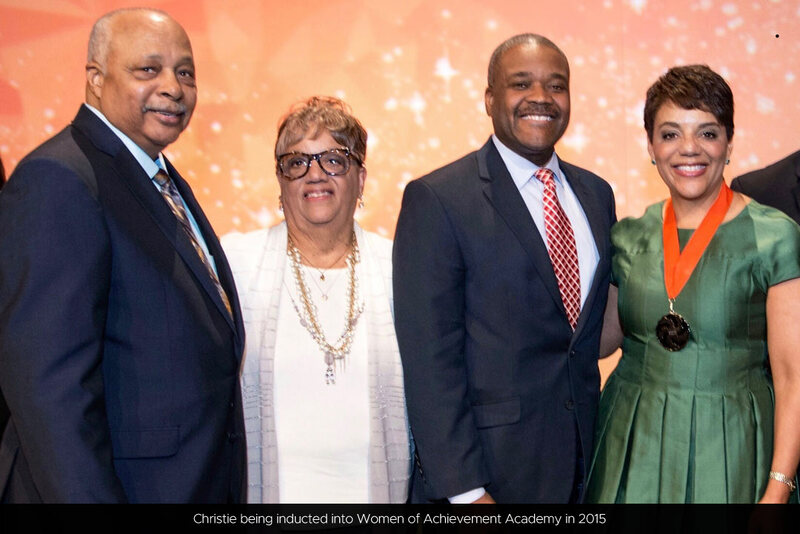 In 2015, Christie was named a YWCA Woman of Achievement and was recognized for her vast experience and years of service in the community, including service on the boards of Mid-Ohio Foodbank, United Way of Central Ohio and the Women’s Fund of Central Ohio to name a few. Christie Angel is a force, a bright light, a leader unparalleled in her quest to serve the city and serve her community. So how did she get here, and more importantly, how will she change the face of YWCA Columbus? No matter what, when she gets involved with a project, Christie Angel brings her A-game, and that started early in her life. “My father was a huge influence on me very early on, but it was really around the age of thirteen that I became engaged on a whole new level,” notes Christie. Her father was an early pioneer in the city. As a public servant in the city of Columbus, he ran a housing program and took his young daughter along to look at blighted properties he planned to purchase for the city. Christie had another talent: great handwriting. When her dad had the lottery, she wrote down all the names and then wrote the ones selected on a big whiteboard. The media even covered the launch of the urban homesteading lottery. Christie was hooked and became completely intrigued with improving the community. “I was a sponge. I soaked it all in. I saw subsidized housing as a great stabilizer. After all, everyone needs a place to live,” she notes. At the age of 22 she continued her quest when she got her first real job managing Section 8 housing in Urbancrest at Urban Hollow. That position led Christie to the Columbus Urban League whom she credits with blending her strong sense of community with housing. 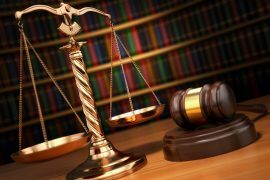 Her career also led her into the private sector at Calfee Strategic Solutions, a government relations and public affairs firm. 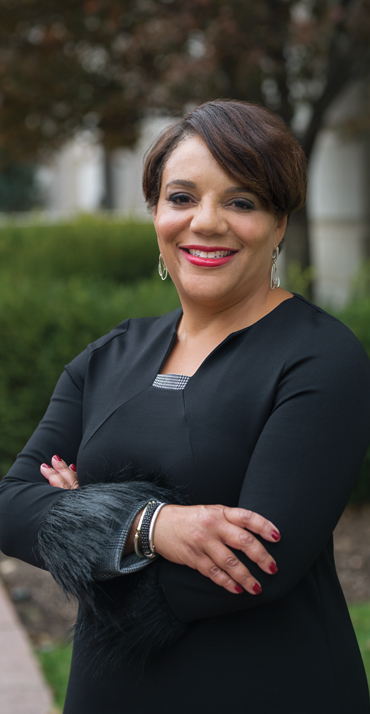 She also served as a deputy chief of staff and director of external affairs and services for former Columbus Mayor Michael B. Coleman. In her role at the Mayor’s office, Christie was the first female, first woman of color and youngest person in that role. She admits it became a stream of consciousness. “People were watching me transform government. I looked around and saw a lot of women who needed to stick together to get things done. I was their champion, and some days I felt like I was the only one,” she reminisces. Fast forward to 2018. What has she learned in the past year in her current role as president and CEO of YWCA Columbus? “I’ve learned that great people working for this organization are ready to serve this community in big ways and small ways. Her biggest challenge is rooted in the perception most people have of the YWCA. Christie points out that the process has been an ebb and flow. “We’ve been around since 1886. Young people were not aligning with us. They saw us as part of the past and not so much the future.” Christie, as she does so well, decided to take on the naysayers. She invited the young people inside the doors of the YWCA to talk about things that interested them. It worked. On a mission to activate her constituency, she launched the Activists and Agitators event, leading a discussion on social change and social justice, and guess what? More people engaged, listened and participated. Next, she went to the place she knows best: the communities. YWCA Columbus, in partnership with Suzanne Roberts, CEO of Unifying Solutions and Jim White, CEO of Performance Consulting Services, Bexley City Schools, the City of Bexley and the Bexley Diversity & Inclusion Initiative held evening events to talk about race and privilege. The new audience of YWCA Columbus wanted to learn. She worked with her marketing department to engage a broader audience through social media. Media relations improved. The next stop on her tour are additional communities who are willing and able to have the same conversations. Christie is passionate about the Bright Futures and Leadership for Social Change projects that are evolving at YWCA Columbus. She and her team have collected a lot of data about mental health issues affecting African American girls. Identifying when challenges occur can assist them in diagnosing how this generation can have healthier relationships, how they can become better parents and get back to their roots, and how they can be kept out of shelters and homelessness. “When you are at the helm of making decisions, your outcomes are going to be better when you have diversity on your team and diversity among your partners. 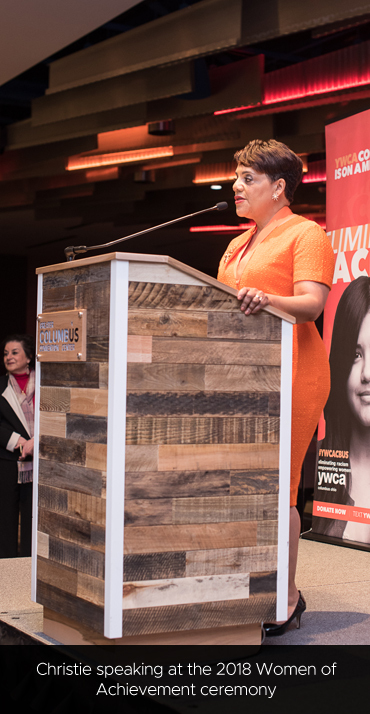 Through my work with YWCA Columbus, I hope to create a more empowered and inclusive community. I want to decrease the number of families in shelters, especially African-Americans. They make up 64% of the people we serve. I want women and people of color to have a seat at the table. 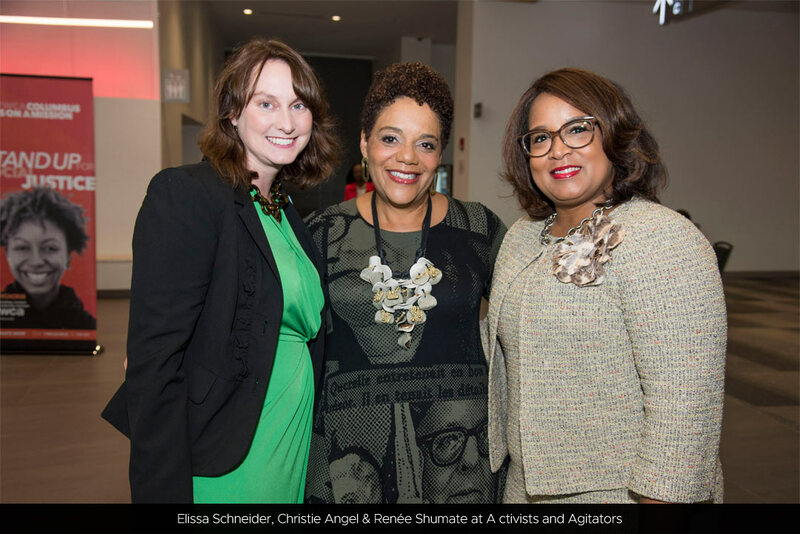 One of Christie’s early mentors taught her this about optimism: “If you see something you want, you will do the right things to get there.” Eliminating racism and empowering women — Christie Angel invites you to her YWCA. Learn more at http://www.ywcacolumbus.org. When you have had a best friend for as long as you can remember, they become a part of you, your family. That is why when Kelley’s friend Madeleine Jo Wharton came to her in the spring of 2008 to ask for her help to raise money for a bike ride for cancer research, Kelley was 100% on board. That small bike ride was Pelotonia, and it would change Kelley’s life forever. Kelley knew nothing about Pelotonia when Madeleine approached her. “I couldn’t understand why anyone would intentionally ride a bike for that many miles,” laughs Kelley. At the time of her first ride, Madeleine had been dealing with non-Hodgkin’s lymphoma for eight years. 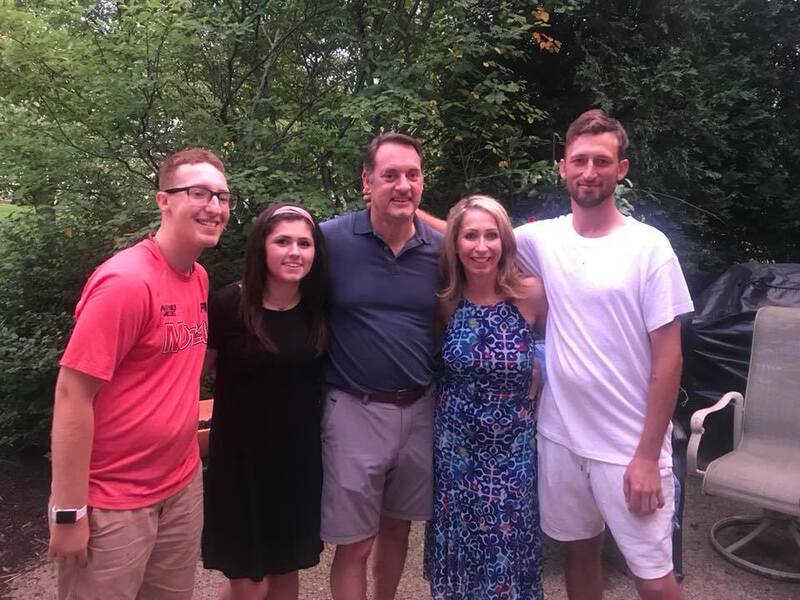 “Just knowing my friend had been successfully fighting this disease for so long was enough to make me want to help her and others fight it,” adds Kelley. 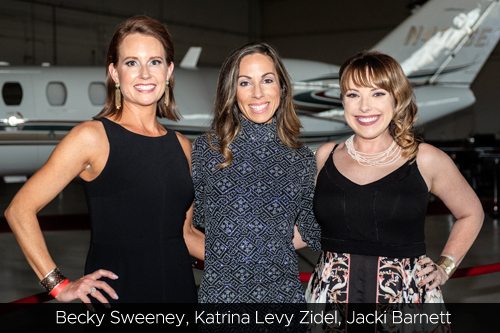 Madeleine, Kelley and Maria Durant (a breast cancer survivor) named the team and started planning the first annual Riding in Stile gala. In August of 2008, just days before the first Pelotonia ride took place, Kelley opened up the patio of Stile Salon & Spa at Easton Town Center to about 50 guests, and the event raised just over $4,000. The amount was just above the minimum needed for Madeleine and Maria to set out on their first 25-mile Pelotonia ride. As the event grew, so did the ways it could honor individuals and families who are dealing with, or have lost someone to cancer. In 2011, the event and team began to honor an individual who lived serving others and giving back. At each event, the Richard J. Solove Award is given to a family who has lost someone to cancer who was selfless and a hero in their own right. In May of 2016, after hundreds of miles on the bike, Kelley’s dear friend Madeleine passed away. Madeleine’s humor and positive attitude are what continue to drive the team to success. 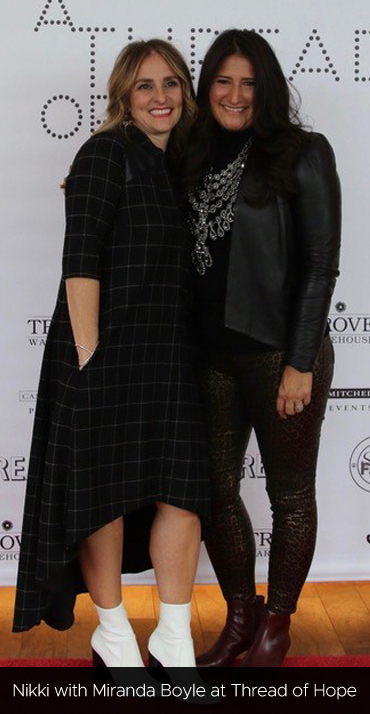 Now spearheaded by Kelley and Maria, Team Riding in Stile is looking forward to growing the gala and getting more corporations in the community involved. “We would love to make a bigger impact with our team,” adds Kelley. The 2018 Team Riding in Stile Peloton had just over 40 riders. Each one doing whatever it takes to raise the most amount of funds throughout the year. “Many of our riders host their own, mini, fundraising events throughout the year,” adds Kelley. “At each of those events many of the team members come and support, bring guests or even just share on their social media to help spread the word.” All the time spent by the riders of the peloton and the committee members helps Team Riding in Stile succeed in raising more money each year. 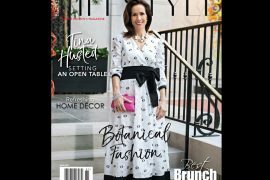 Kelley Douglas not only spends her time raising money for cancer research, she is the owner of a successful boutique salon and spa – Stile Salon & Spa at Easton. 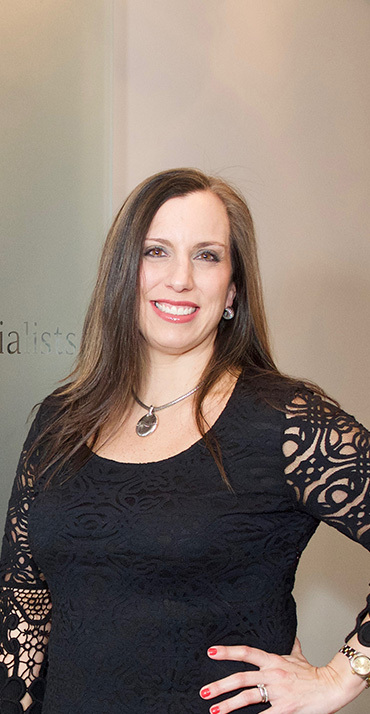 “Being in the salon and spa business gives me the opportunity to connect with so many individuals,” says Kelley. 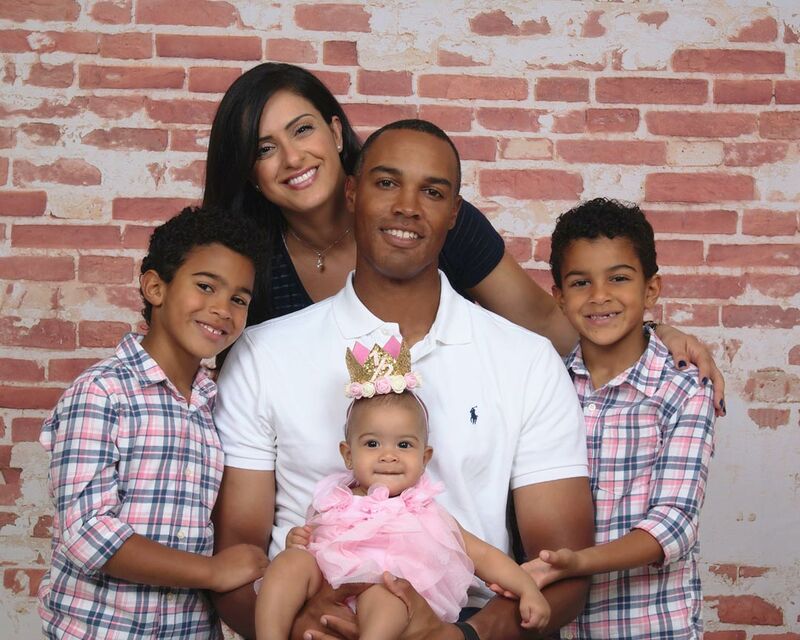 Kelley is a wife, the mother of two, amazing young men, one beautiful stepdaughter and an adorable grandson all who support her goals for the team and gala event. Lead by example, each of them have given their time to help fundraise for cancer research and many other nonprofits. For more information on Team Riding in Stile, you can visit their page on Pelotonia.org, search Riding in Stile, or visit the team’s Facebook page: Riding in Stile with Maria and Kelley.